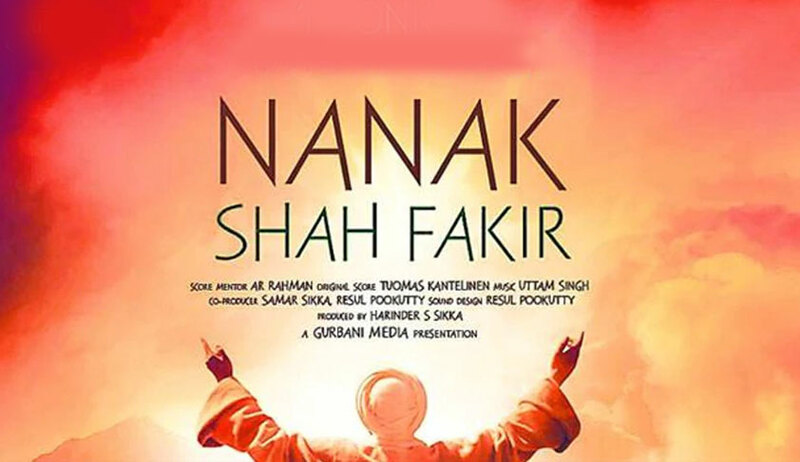 Putting an end to the long wait for the release of controversial Hindi film Nanak Shah Fakir since April 2015, the Supreme Court on Tuesday allowed for the release of the film in theaters across the country on April 13.The court’s decision came hours after the apex body of Sikh religion Akal Takht took a decision banning the release of the film. A bench of Chief Justice of India (CJI) Dipak Misra, Justice AM Khanwilkar and Justice DY Chandrachud allowed producer Vice-Admiral Harinder Singh Sikka’s plea for a direction to all the state governments and the Centre to ensure that the law and order is mail when the film is released. It accepted the arguments of petitioner’s counsel senior advocate, RS Suri, that the Central Board of Film Certification (CBFC) has cleared the film and issued the certificate for its release after the necessary modifications were made as stated by the Shiromani Gurudwara Prabandhak Committee (SGPC). “Once the certificate is granted, unless nullified by superior authority, the producer has every right to exhibit the film in the movie halls. It is potentially to bring anarchy and cripple the right to freedom of expression if any kind of impediment is caused,” the bench said in its interim order and issued a notice to the states and the Centre and sought their reply by May 8. “A committee or individual can’t assume the position that they are the authority to grant certificate and unless they clear, the film should not be exhibited,” the court said and directed all the states to ensure that the law and order was maintained and no one should be allowed to create disturbances for the release of the movie. The actor Akshay Kumar-starer movie had got into the controversy after some religious organisations had raised voice against the content of the film. In April 2015, Sikka had announced to withdraw the movie from cinema halls across the country and globe. He said the decision was taken while bowing before the supremacy of Akal Takht. He assured that required changes as suggested by the Akal Takht chief would be made in the film before its re-release. According to the petitioner, necessary changes were made following suggestions by an expert committee. The same was accepted by the CBFC and certificate was granted last month for release but due to opposition by some sections of the community, the SGPC withdrew its support extended for the release of the film. It was alleged that the film had violated the Sikh maryada by portraying Guru and family members in human form. According to the petition, the film was screened at Cannes Film Festival in May 2014 and in November same year at Sikh Lens, Arts and Film Festival in California and has sparked a controversy due to its alleged objectionable contents related to the portrayal of the Sikh guru and family.